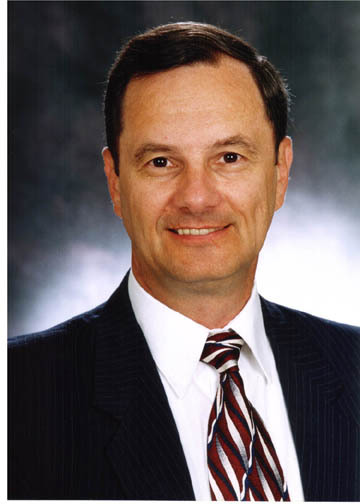 Perfect Storm Solutions - Captain Larry Brudnicki, Professional Speaker. 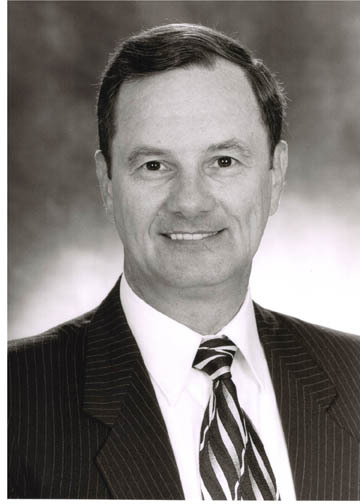 Every type of business and industry will find Captain Brudnicki's presentation valuable because the strategies that were successful saving lives during the Perfect Storm can help any organization become more successful. People easily relate to this inspiring story because everyone has been in a situation that they could not control and had to make difficult decisions when they didn't like the options, or they have been part of a group that had to come together as a team and act with a single focus if they had any chance to accomplish their goal. Any company or association that wants to remain in business must manage risk. 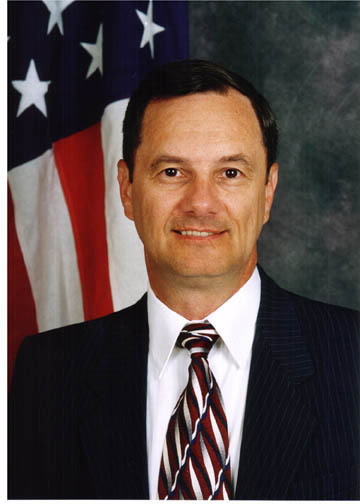 Captain Brudnicki uses the experience he gained from leading successful high-risk missions with international visibility combined with what he learned investigating leaders and teams who did not understand the principles of risk management or chose to ignore them. He can help any group understand how to implement the steps necessary for success while avoiding the pitfalls. Captain Brudnicki enjoys meeting as many members of his audience as possible. If requested, he will attend your social events but please do not make arrangements to keep him out late at night or he will not be at his peak performance the next morning. The eye follows movement, not sound. If photos are to be taken, never take them during the first fifteen minutes of the presentation. It will be too much of a distraction for your audience and the speaker. Have your photographer take photos from the back of the room and/or have him take "posed action shots" during the break. Do not introduce the speaker immediately after award presentations, extended announcements, sad announcements or moments of silence for a recently departed friend or colleague. Either consider presenting awards and making announcements after your speaker is finished, or give the audience a stretch break for a couple of minutes before introducing the speaker. Audiences will not receive much value from any speaker after athletic activities, marathon meetings, cocktail parties, gourmet dinners or arriving jet-lagged from another time zone. It is not a good idea to have your main speaker the last day of a conference when the audience is at half-attendance or everyone has been up very late the night before. To capitalize on your investment consider changing the schedule to when everyone is more alert. We hope this will help you. We want to present a first-class program. Please have a lavalier microphone. If that is not possible, the second choice is a cordless hand-held microphone. The last choice is a hand-held microphone with a long cord (50 feet). Your audience will not be focused and will not remember the speakers message if he is competing with a loud noise from the room next door. Do not use the speaker system in the ceiling of the room. A separate sound system will have a much higher quality sound. If you are in a divided ballroom, it eliminates the possibility of the group next door from being patched into your room. To DOWNLOAD, simply RIGHT-CLICK on the desired image resolution (72, 300, 600) and choose "Save Target As". Click here to contact Captain Larry Brudnicki. Captain Brudnicki commanded the Coast Guard Ship that performed two dramatic rescues during the worst weather in more than 100 years, which became known as "The Perfect Storm" and inspired the book that was on the NY Times best-seller list and the blockbuster movie starring George Clooney. The Perfect Storm is not an isolated incident. Throughout his 30 year Coast Guard career you could generally find Captain Brudnicki in the wrong place at the right time. It all started when he commanded his first ship at the age of 23. And, created an organized counter-drug operation for the Coast Guard in the Pacific Ocean, where he had tactical control of ships and aircraft that seized 150 tons of cocaine, including the ten largest cocaine seizures two years in a row. 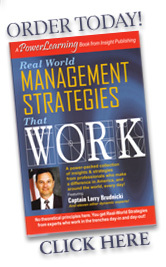 After he was no longer paid to get cold and wet, Captain Brudnicki began his second career as a Professional Speaker, Author, and Consultant. He has appeared on CNN, Fox Business News, ABC, The History Channel, National Geographic, The Learning Channel, and the Outdoor Life Network. 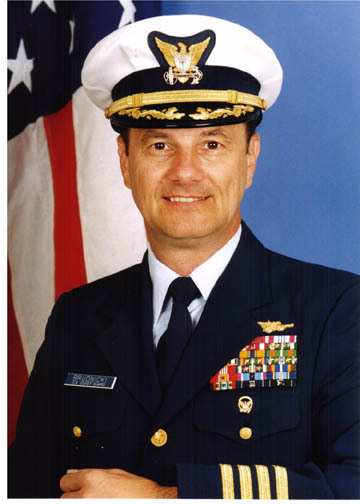 Captain Brudnicki was inducted into the Coast Guard Hall of Heroes in 2009. Now listen to his first hand account of how he made life and death decisions, and motivated his crew to perform their best in conditions that are almost beyond imagination. Captain Brudnicki likes to move around, so please do NOT put him behind a lectern or head table. If the head table is on a riser or a stage, pull it back from the edge to allow space for him to stand in front of it. The best seats in the house - directly in front of the speaker - are often wasted in a large empty aisle. The speaker must move from stage left to stage right and back again to address a "divided" audience. Use two smaller side aisles on either side of center. Tell the hotel or conference center to put the front row close to the speaker and try to seat people near the front of the room. Please have only as many chairs as you expect people, with extra chairs stacked up at the back of the room. Otherwise, the front rows will be empty. Stager the chairs so that the audience does not have to twist and turn in their seats to see past the head of the person directly in front of them. If you know some attendees will be in wheelchairs, you might remove a few chairs at the ends of the rows near the front, to provide space for them to wheel their chairs to the ends of these aisles. This allows for easy entry/exit, and it's nice change for those often relegated to the back row in an audience. Many of the lights may be off because of audiovisual presentations used by the previous speaker. Please make sure they are turned on so that the entire room is well lit, but especially the stage area. If spotlights are available, consider using them. It is difficult for the speaker to build rapport with the audience if they are still eating. Please tell the hotel to clear the tables before introducing the speaker so that the audience will not be distracted by the noise of the waiters/waitresses. If the door at the back of the room closes loudly, please have a doorstop or tape the lock so that the door will not be a distraction.